Mmm, I love sage — it reminds me of the holidays. Whether our family is gathered around the table for Thanksgiving or Christmas, you bet you’ll find sage in the stuffing and in a fresh batch of herb compound butter (a recipe you can try for yourself). As you’d expect, sage oil generally comes from the steam distilled leaves of the sage plant. Initially used to preserve meats and other foods from spoiling, people have held this herb to a high regard since ancient Rome and Greece. Throughout history, people knew sage to be beneficial for both the body and mind. Today, people continue to use it as an all-natural remedy. If you are not familiar with sage oil, here’s why you need to be. One thing is for certain, sage oil health benefits are vast. 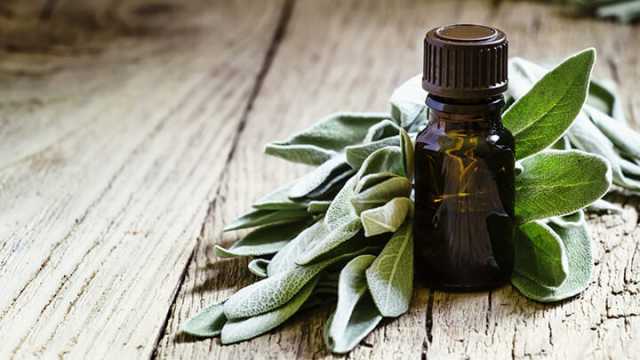 From skincare to respiratory illnesses, sage oil offers a range of health-promoting properties that will not result in a long list of adverse effects. Although you can most certainly source quality sage essential oil, you can also make your own recipe — with sage leaves straight from your garden. When it comes to constipation, the root cause may be too much dairy, a lack of exercise, IBS or even an adverse reaction to your current medications. Long-term, this can lead to a number of complications. The accumulation of waste food byproducts in the colon can result in low energy and even weight gain. At the end of the day, your digestive system is the foundation of “good” health. Since sage oil naturally increases the secretion of both bile and gastric juices, it can promote digestion. In turn, individuals will experience less bloating and discomfort, targeting both constipation and ulcers. If you do suffer from constipation, there are many home remedies available to help promote regular bowel movements, supporting optimal digestive health. A great place to start is to drink more water and consume more fiber. Also, be sure to source quality essential oils, including sage, peppermint, rosemary and fennel. Add one to two drops to your morning glass of water. For those who are going through menopause, some of the most uncomfortable symptoms include hot flashes and sweating. Using sage oil to reduce these effects has deep roots in folk medicine. However, in more recent years, scientific evidence is beginning to back up these traditional claims. Within one study, published in Advances In Therapy, researchers selected 71 participants. These patients had been menopausal for at least 12 months and were suffering from a minimum of five hot flashes daily. Over the course of eight weeks, researchers gave them a once-daily tablet of fresh sage leaves and measured menopausal symptoms. Researchers found that these participants experienced a significant decrease regarding the intensity of hot flashes. Sage reduced their score by 50 percent within four weeks, followed by 64 percent after eight weeks. While focusing on the mean total number of hot flashes daily, these decreased significantly week after week. In terms of mild, moderate, severe and very severe, rates decreased by 46 percent, 62 percent, 79 percent and 100 percent over the course of eight weeks, respectively. Researchers saw similar effects regarding the Menopause Rating Scale. Overall, the researchers concluded that this treatment was not only effective, but well tolerated. Ugh, I hate coughing — but then again, who doesn’t? This time of year, many of us catch a cold or flu. If you have a cough that just won’t quit, skip over-the-counter cough suppressants and utilize the benefits of sage oil. This age-old remedy is not only known to target coughing, but a sore throat as well. When inhaling sage oil via steam inhalation, experts believe the fumes clear the respiratory tract while alleviating nasal mucus. In fact, people have used this herb to not only treat coughing, but also asthma and bronchitis symptoms. Researchers reported this effect in one study, published in Phytotherapy Research. Researchers found sage to dose-dependently inhibit drug-induced bronchospasm in rats with three-fold greater potency than the control, aminophylline — a compound used in the respiratory drug known as theophylline. 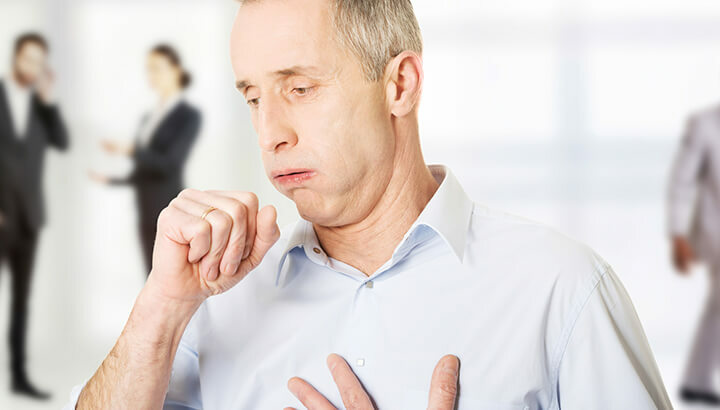 By inhibiting a key enzyme and activating the voltage-dependent K+ channel, researchers concluded that sage can improve coughing and symptoms of asthma. Whether you suffer from chronic back pain or muscle ache, it’s important to address your symptoms as naturally as possible. Both over-the-counter and prescription painkillers may cause negative side effects. These include nausea, vomiting, confusion and far too many unfortunate cases of addiction and even death. For those who suffer from severe menstrual pain, researchers have found that blended essential oils relieve pain, targeting cramps and aches. Within one study, researchers recruited participants with dysmenorrhea — or painful periods. Researchers either randomly assigned these individuals to an essential oil group or a synthetic fragrance group. After applying a blend of lavender, sage and marjoram essential oils via massage, both the duration and severity of pain decreased in patients. The researchers concluded that this alternative remedy serves as an effective treatment option for those who suffer from pain during menstruation. 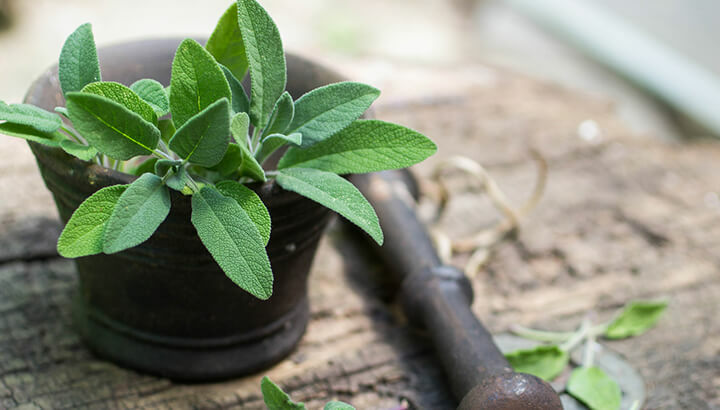 Sage has a vast history, as it was once used as a fertility treatment during ancient Egypt. Were the ancient Egyptians onto something? For those who are struggling to become pregnant, it’s important that you change your lifestyle, introducing natural fertility treatments. In this case, diet is key. In some cases, hormonal issues are to blame for female infertility. In other situations, sperm production is too low. High in zinc, sage can help both males and females. In women, zinc encourages the production of mature eggs, helps maintain optimal follicular fluid levels and promotes optimal hormone regulation. For men, zinc is necessary for creating the outer membrane and the tail of a sperm. Without this important mineral, sperm will not be strong enough to make the journey into the uterus. Within one study, published in the Journal of Scientific Research, researchers were interested in the effects of hypothyroidism and oxidative stress in terms of fertility. Researchers used sage based on its antioxidant effects. And while studying rats, researchers found that sage extract restored all parameters towards normal values, including sperm cell count, sperm motility and testosterone levels. The researchers concluded that sage tea improves the reproductive potency and fertility based on its antioxidant and thyroid-regulating effects. I spend a lot of my professional and personal time researching the latest developments among dementia patients. Numerous studies have focused on the benefits of aromatherapy, showcasing positive effects on both mood and cognition. While focusing on sage, researchers have found this herb to improve memory. It may even improve specific symptoms of dementia. Sage’s anti-inflammatory and antioxidant properties may protect against the development of dementia. It may offer mood-enhancing effects among those who suffer from the advanced stages of this degenerative condition. More importantly, a component in sage offers neuroprotective properties. This reduces the toxic effects of amyloid beta plaques — protein deposits that are a hallmark sign of Alzheimer’s disease. Your lifestyle will directly influence the level of inflammation in your body, which can eventually cause a long list of diseases, including cancer and arthritis. According to new research, researchers have shown specific plant-derived compounds to fight inflammation and in turn, pain. As reported in the British Journal of Pharmacology, diterpenoids are found within specific plants, marine, organisms and fungi — which interfere with the pathways associated with inflammation. As stated in their research, both sage and rosemary offer these bioactive compounds, promoting anti-inflammatory effects. How can I consume more sage? Make a sage oil to drizzle on salads, roasted vegetables, etc. 1. Place a healthy handful of sage leaves into a paper bag and smash them with a mallet or your hand. This will simply encourage a higher release of beneficial compounds and oils. 2. Add your crushed leaves to a glass jar and fill with organic olive oil. 3. Allow this combination to rest for 48 hours, preferably in a fairly warm spot, such as a windowsill. 4. Strain, discard sage leaves and store in an airtight jar. Although you can enjoy your oil after these steps, to create a more potent formula, repeat the above steps one to two more times. 5. To reduce the aging process, a dark glass jar is recommended. Use within six months. Previous articleIs Ivanka Trump The Climate’s Best Hope? Hey Buddy!, I found this information for you: "7 Reasons To Use Sage Oil". Here is the website link: https://www.thealternativedaily.com/reasons-to-use-sage-oil/. Thank you.